The sun was shining, but there was a whirlwind inside our California office. Tarps and tools were strewn across the floor; medical supplies and MREs were pouring out of boxes; the phone was ringing off the hook. 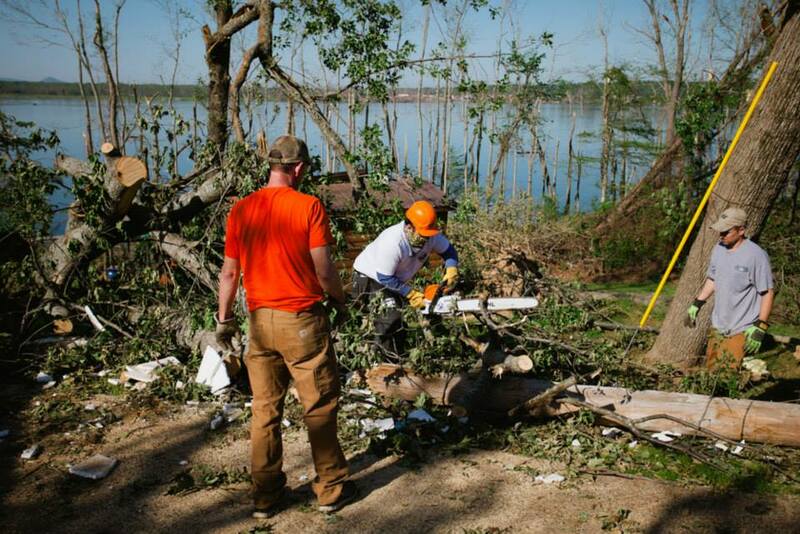 The first major tornado outbreak of 2014 was tearing through Arkansas, and Team ROWW was preparing to deploy. 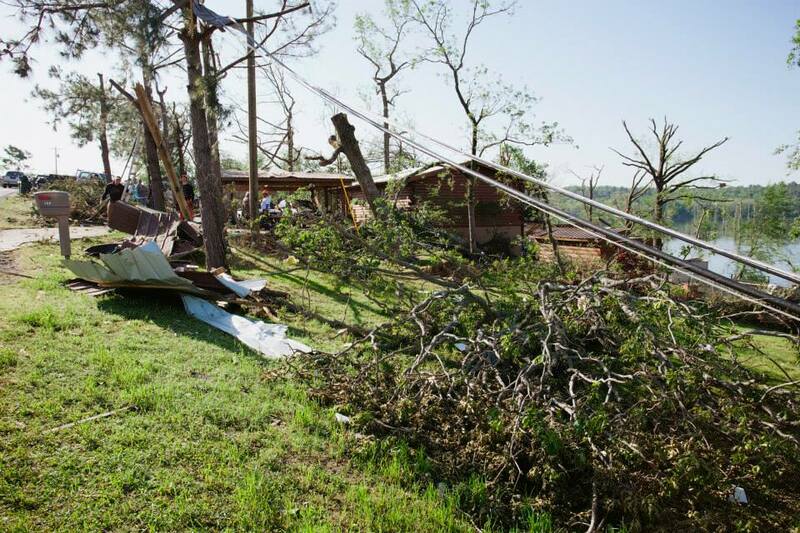 The tornado that hit Arkansas on the evening of April 27th gave little warning to the residents of Mayflower and Vilonia. Most people didn't have time to evacuate. All they could do was sit and wait, praying that their homes wouldn't be in the path destined for destruction. Unfortunately, not all of those prayers were answered. 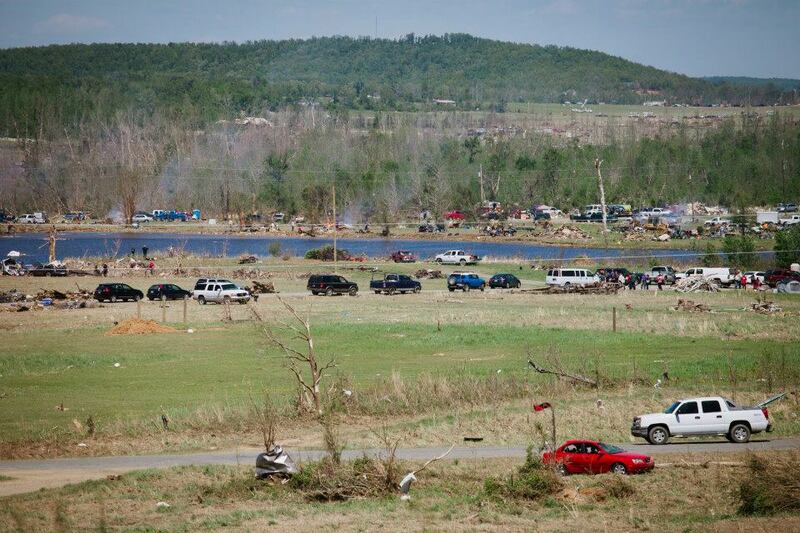 The EF4 tornado left behind a 41-mile trail of devastation, killing sixteen people and destroying 400 to 500 homes. Entire fire departments were non-functioning and local first responders were in short supply. 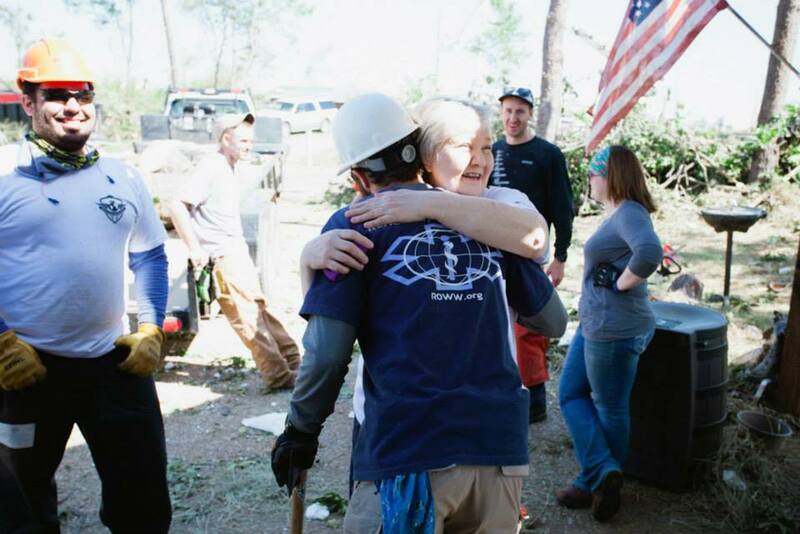 Back in California, our ROWW team knew that we could help. 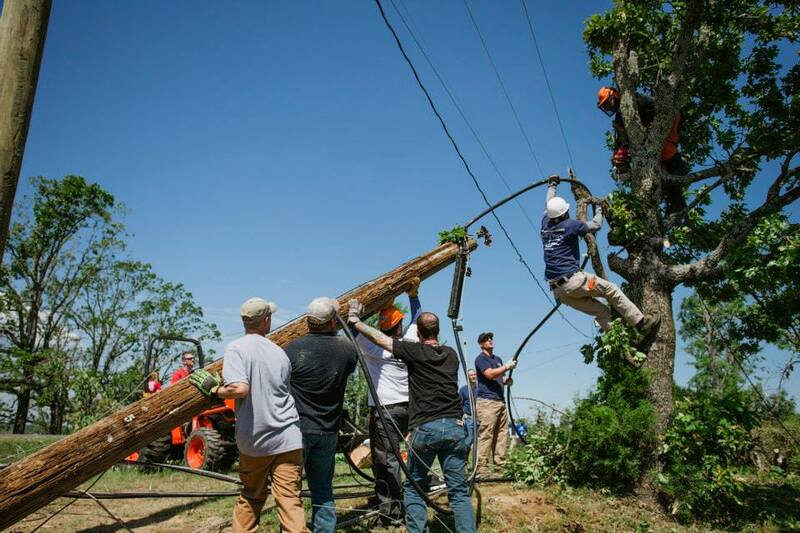 Within 48 hours of the tornado, Team ROWW had boots on the ground in Vilonia. 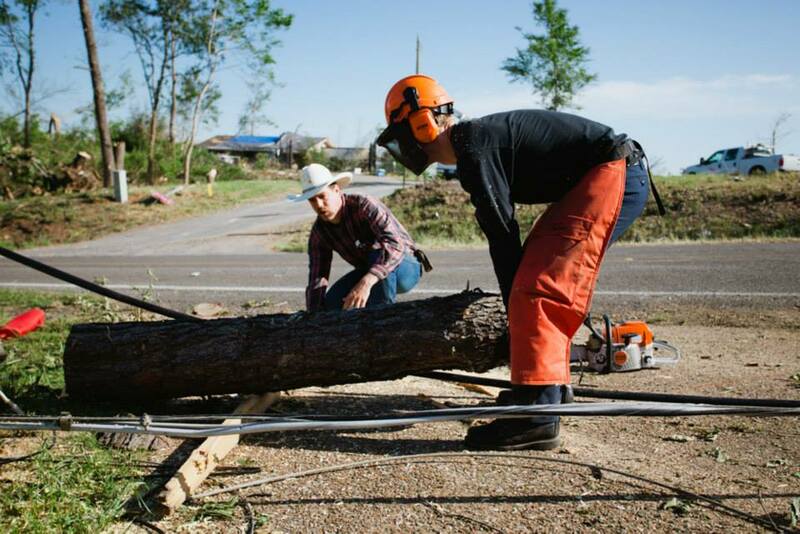 We sent a team of five volunteers, from firefighter to construction worker, with one thing in common: expertly skilled with a chainsaw. The primary concern in the area was the threat posed by damaged trees. Trees had fallen across driveways, were blocking roadways, and obstructing doorways; they had crashed into houses and collapsed power lines. An even larger hazard was from those trees that were still standing. Damaged trees that hovered over homes threatened further destruction in the next storm, if not sooner. Our primary goal of the deployment was to eliminate as many of these threats as possible. Thanks to Stihl USA, our chainsaws were waiting for us upon landing in Arkansas. We were fortunate to go through Reed's Outdoor Equipment, a local Stihl equipment dealer. 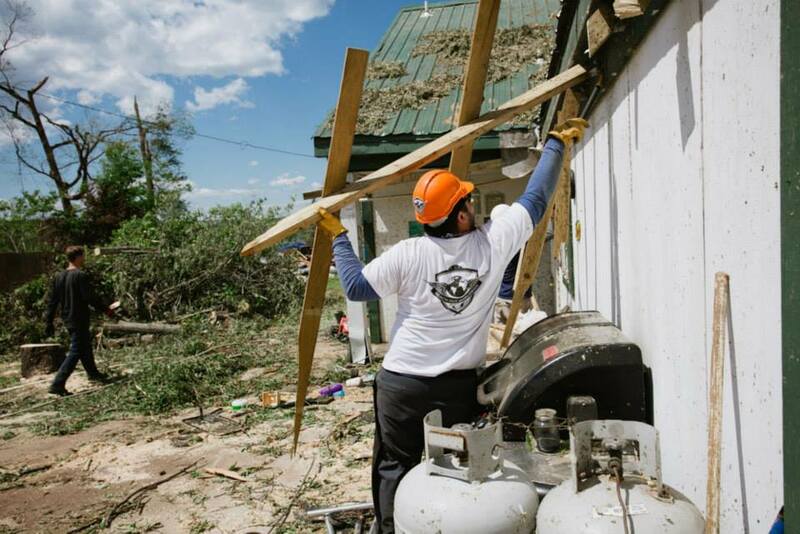 Knowing that we have tools that work as hard as we do is such an important part of the job, and having them available immediately allowed us to get to work quickly and do what we do best: help others in their greatest time of need. And for the next five days, that's exactly what we did. In a town just outside of Mayflower, we spent the majority of the day working at a church. It had downed power lines, trees hanging over doorways, and was completely inaccessible. It was a visual testament to the destruction the community was facing. It was our goal that day to repair this significant structure that could inspire hope and bring some sense of security back to the community. We saw local volunteers rally together, and by joining forces, we got the church ready for Sunday services. We were able to significantly impact dozens of structures. Additionally, we were able to make several stops while driving between locations. 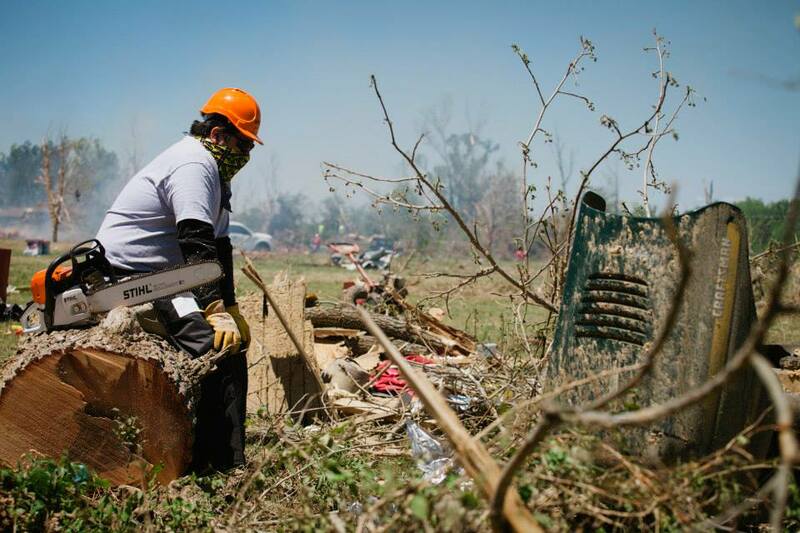 We came across many opportunities to stop and help folks with heavy lifting and recovering/salvaging personal items, distribute water, distribute fuel and repair civilian chainsaws, and take pictures to document people's losses so they could begin their insurance claims. 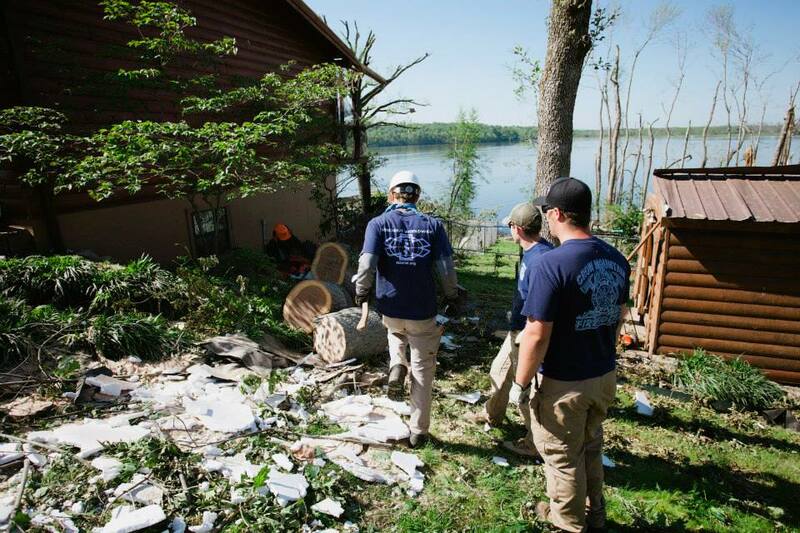 We cleared standing trees that posed future threat, removed trees that had fallen over structures, cleared access ways, and helped tarp roofs to protect homes from further damage. We were able to make a great impact in the lives of many who couldn't afford help any other way.